Master Lock, a venerable American company known for understanding the needs of its users and for solid mechanical engineering, noted certain market segments shifting to electronic locks. Bresslergroup identified the best technology fit for Master Lock to bridge the gap between physical and digital, and claim the edge in this new-to-them category. 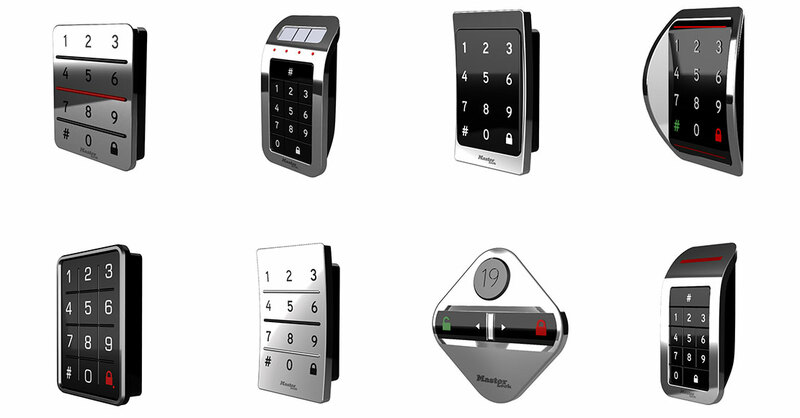 Used to cross-pollinating technology between industries, Bresslergroup introduced Master Lock to e-paper, best known for its application in e-readers, smartwatches, and retail signage. Competitive research showed battery life and usability were major opportunities to differentiate from the electronic locker locks (ELLs) in use at some clubs, gyms, spas, recreation facilities, and country clubs. 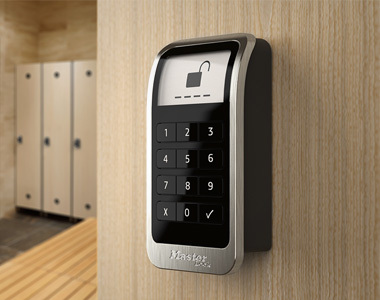 With Master Lock’s guidance, Bresslergroup’s industrial and interaction designers conducted field research and discovered users’ frustrations and unmet needs, noting the clear desire to get in and out of the locker room quickly and easily. Trying multiple lockers to locate an empty one and having to spend time figuring out a keypad are time wasted for the busy club member, gym- or spa-goer. Most ELLs have small LED lights that blink when they’re locked, making it hard to detect vacancy status. The constant blinking is a major battery draw, accounting for three-quarters of the total power budget and creating a hardship for facility managers who’d like to avoid frequent changes at four batteries per lock. Competitive research showed battery life and usability were major opportunities to differentiate. 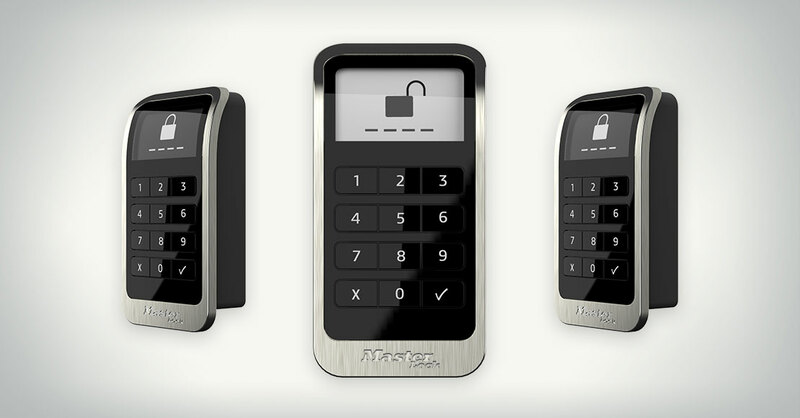 The team considered these and other requirements while designing an electronic locker lock that appeals to various groups of stakeholders, including gym goers, gym employees, facilities managers, OEM/Distributors, and architects and interior designers who spec out locks for higher end clubs. Bresslergroup led working sessions with Master Lock to jumpstart the ideation process and pinpoint directions for further industrial and interaction design exploration. The group came up with three attributes — strength, precision, and toughness — to describe the brand and serve as design touchstones. 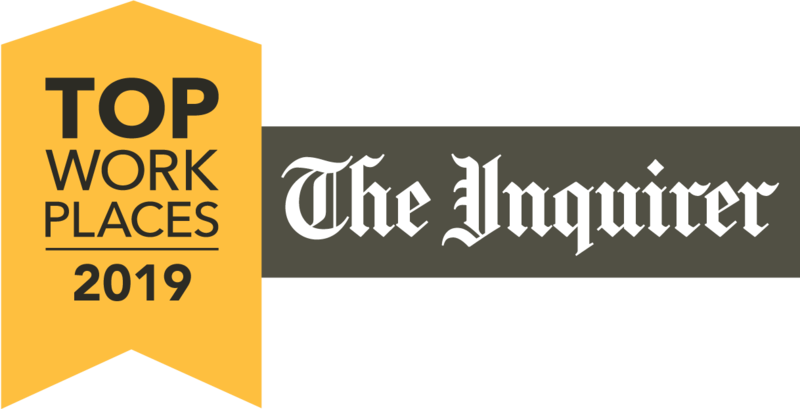 Brainstorms, ethnographic research, and concept ideation led to the recommendation of e-paper, a display technology that is new to the lock industry. E-paper’s benefits are superior visibility and very low power draw — the screen consumes power only when it switches from vacant to locked or vice versa. Its status is immediately apparent, because the screen is black when locked and white when unlocked, making locked lockers easy to spot from a distance in a sea of white — even to aging users with fading eyesight. 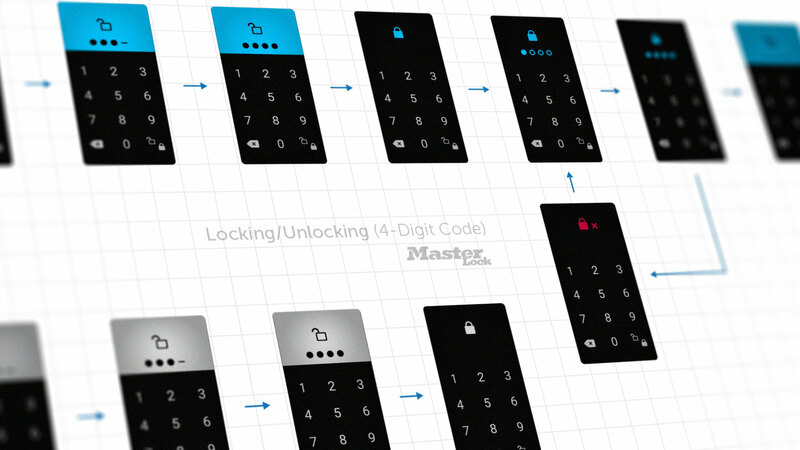 Mapping the lock’s digital-physical workflow came next — industrial and interaction designers collaborated to work out the best experience and to design the physical and digital user interfaces. 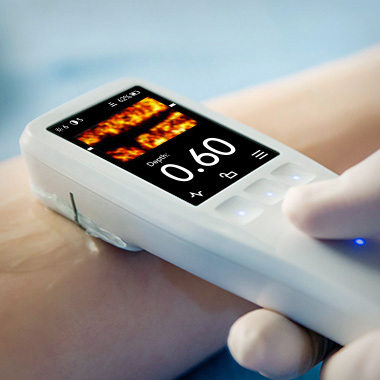 Another advantage of the e-paper screen is its ability to display symbols, making it possible to show real-time code-entry feedback and a battery warning icon. Competing ELL keypads have icons such as a star or flash that mean nothing to users. Master Lock’s has an “x” and a checkmark, whose meanings are immediately clear — especially in the context of the workflow. The typical user gets no training before trying out a locker lock, so its use needs to be understood intuitively. The resulting Master Lock Electronic Built-In Locker Lock, launched in summer 2017, is minimal, modern, and blends in with any décor. 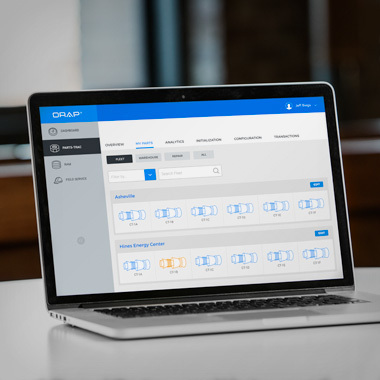 Powered by a single battery that can last over three years, the lock represents reduced battery purchases and replacement labor for club owners and facility managers. An added benefit of the intuitive workflow is inspired confidence that the lock is working and the user’s belongings are safe. 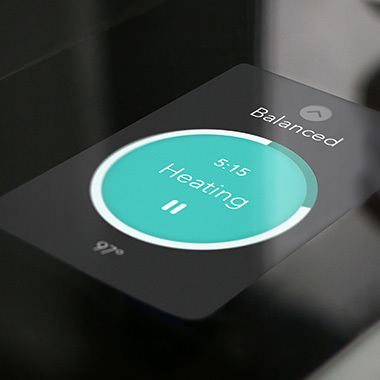 The product was honored with a Bronze award in appliance DESIGN’s 2018 Excellence in Design competition.